Peel and devein the shrimp. In a medium sized mixing bowl, combine shrimp, oil, salt and pepper. Insert skewer through entire body of shrimp (this prevents shrimp from curling up when cooked – see picture above). Preheat grill to high heat, spray grill with cooking spray. Place prepared shrimp on grill and cook 2 minutes on each side, or until shrimp is pink and opaque. 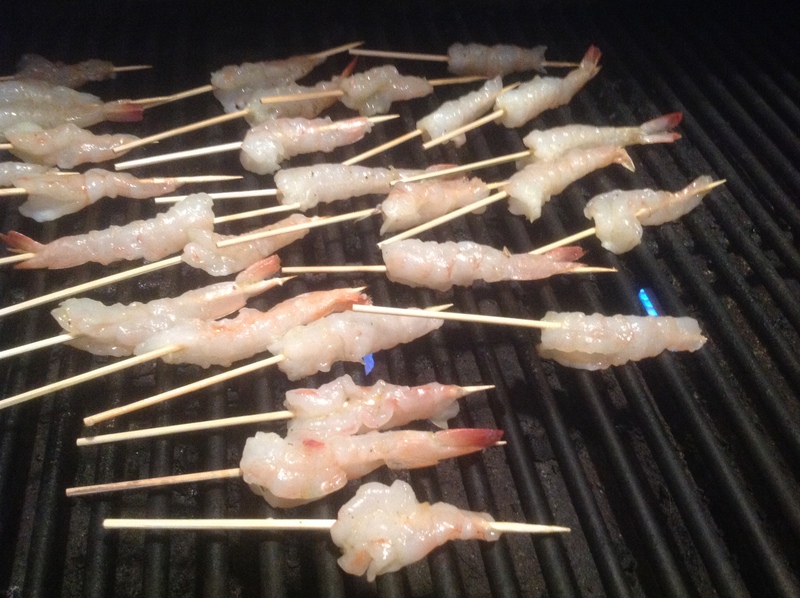 Remove from grill, when cooled, remove skewer from shrimp. Place in bowl until needed. Prepare Tomato Vodka Sauce according to directions. 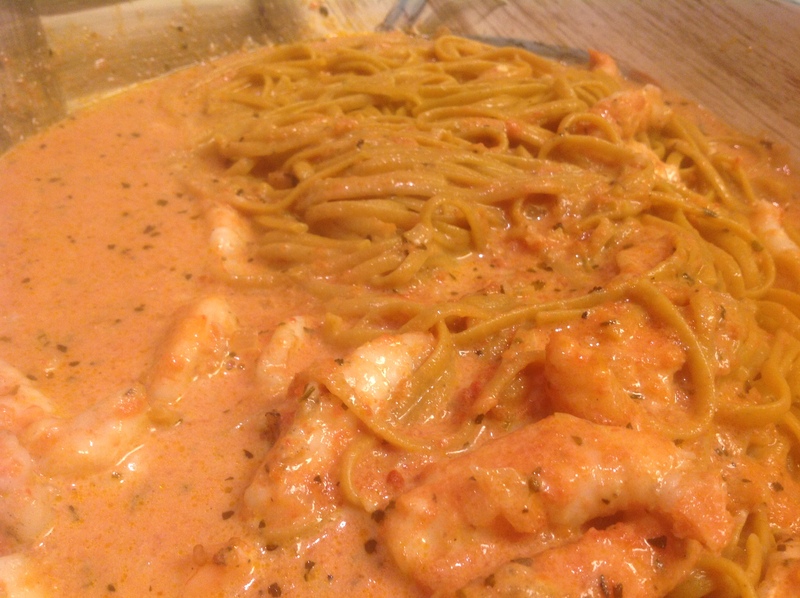 Add shrimp to sauce with the heavy cream. Toss with your favorite cooked pasta. *Soak package of skewers in a large bowl of water with a small plate on top to hold down the skewers. Remove skewers and place in a zip lock bag in the freezer. Your skewers will be ready for use whenever you need them. Spinach, cauliflower, brussels sprouts, grape tomatoes, leeks, butternut squash…oh my…vegetables can be the center of your meal. 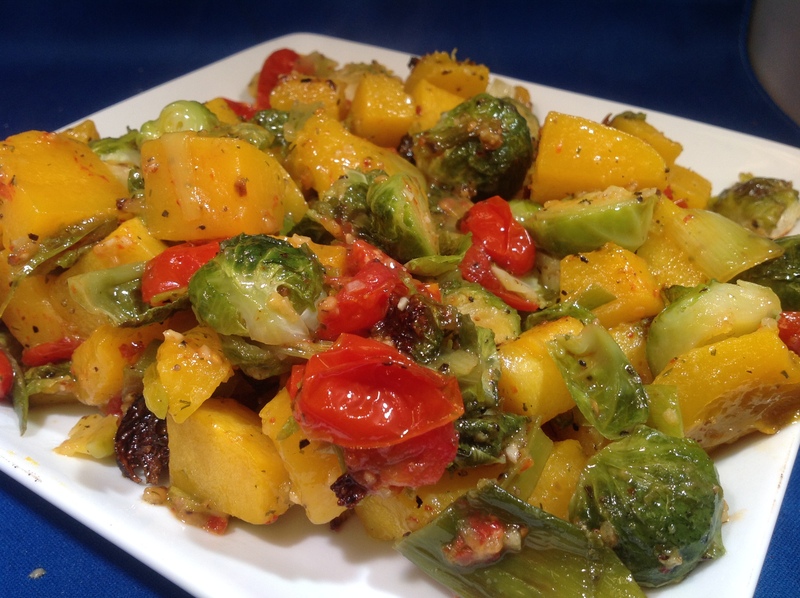 Check out my latest “WREG Live at 9” demonstration to see how easy these vegetables are to make and just how yummy they are to eat! Over medium high heat, melt butter and oil until melted. Add red pepper flakes and garlic. Cook 30 seconds (do not let garlic burn). Add chopped spinach and sauté until wilted. Add beaten eggs and toss until egg is cooked. Stir in parmesan cheese. Serve warm. Preheat oven to 425°F. Line a baking sheet with parchment paper or spray with pan spray. In a large bowl, combine all ingredients and toss until completely combined. Place vegetables on prepared baking sheet. Bake 15-20 minutes, or until vegetables are soft. Cut cauliflower into florets and cook in salted boiling water, until tender, about 10 minutes. Drain and mash cauliflower with vegetable masher. Stir in cheese, pankos, chives, egg, white and cayenne pepper, and parmesan cheese. Heat 1 tablespoon butter and 1 tablespoon oil in a 10-inch, nonstick sauté pan over medium heat. When butter and oil have heated, press cauliflower mixture into skillet and cover. Cook over medium heat until crisp on the bottom, pressing occasionally with a spatula, about 5-10 minutes. Place a rimless flat dish on top, large enough to cover pan, and invert the galette onto the dish. Add the remaining 1 tablespoon butter and oil to the same pan, then slide the galette, browned-side up, back into the pan. Cook until crisp and golden on the second side, about 5 minutes longer. 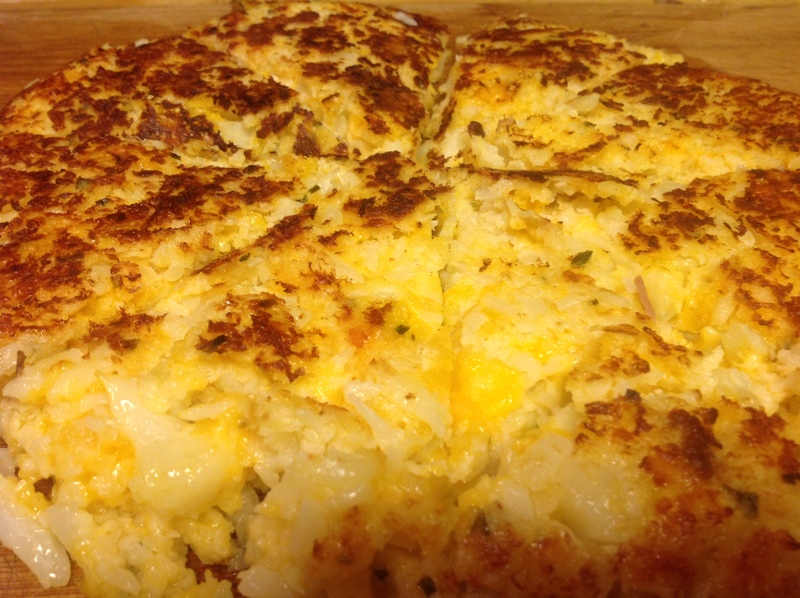 Slide galette into serving dish, cut into wedges, and top with sour cream, if desired.